Remembrance Day is a few days away. Also known as Poppy Day in the Commonwealth countries, Remembrance Day is a memorial day observed to remember the members of their armed forces who died in the line of duty in World War I. It coincides with Veterans Day in the US that was proclaimed first as Armistice Day at the end of the Great War and that honors all men and women that served in the United States Armed Forces. 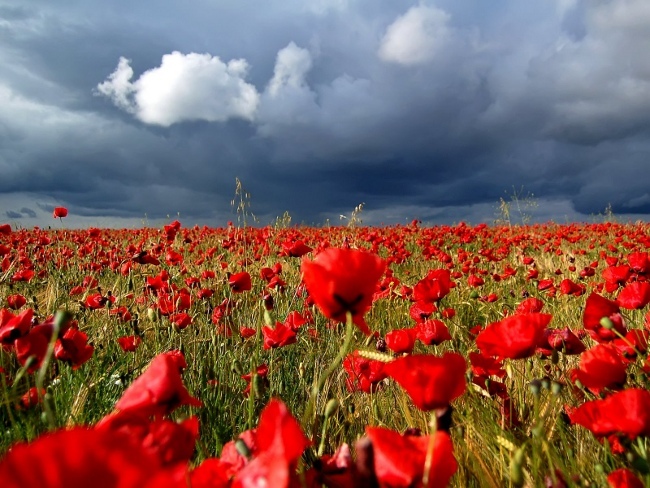 Remembrance Day is observed on November 11 in most countries because the hostilities of WWI ended “at the 11th hour of the 11th day of the 11th month”, in accordance with the armistice signed that day between the representatives of Germany and the Entente. And, red poppies became a symbol of the day due to the WWI poem In Flanders Fields that talks about red poppies blooming over some of the worst battlefields in Flanders. So I thought it would be appropriate to travel back to WWI in our Throwback Thursday today. But you may ask about what Damian Lewis has to do with WWI. Well, firstly, Damian is playing a WWI soldier in Queen of the Desert but also he participated in a WWI poetry reading in 2014 as part of the centenary commemorations of the Great War.